This wall of darkness is passing as we have been advised (see this link ), and the first aspect of this passing of darkness is the lunar eclipse of 15 April 2014. Lunar eclipses cast an internal shadow on the mind, for the Moon is the presiding deity of the mind. There is a solar eclipse to come also, on 29 April 2014; this will be visible in countries in the northern hemisphere. Eclipses have impact on the mind and the body; it has been found that during solar eclipses, the flocculation of the blood collapses; there is an important ray – or vibration if you wish to call it that – from the Sun which energises our blood in our bodies. When the Sun’s rays are blocked, there is an internal dimunition of light within the body. This affects the nadis in the body, it affects the inner sun within the body, it affects the energies flowing up and down the spine to and from the chakras. Light is said to enter the body at the Solar Plexus chakra, where we have an inner sun. So we may take action to maintain and increase, multiply the levels of light within. The light within, our inner sun, needs enhancement – not only during the time of these eclipses – but also during the time of this “flowing through a wall of darkness – as we are told the Earth is experiencing at this moment (others call this a chaotic node) that we maintain the light within, that we maintain our energies within and not fall prey to drifting currents of darkness, and the broadcast of negativity from others on the etheric waves surrounding the Earth. We may maintain our inner sun, our light, enhance and multiply this through meditation on light. Set aside a few minutes, every day, in the beginning for this; later, you are sure to extend the period, when you experience the thrill of peace. Let it be the hours before dawn. This is preferable because the body is refreshed by sleep and the peregrinations of day-time have yet to impinge on the senses and distract physical and mental energy. Have a lamp, with a bright little flame, steady and straight, or a candle, before you. The flame does not diminish in lustre, however many lamps may be lit therefrom. So, the flame is the most appropriate symbol of the eternal Absolute. If you can, sit cross-legged; if your are not able to sit thus, then sit in any comfortable position, in front of the flame. 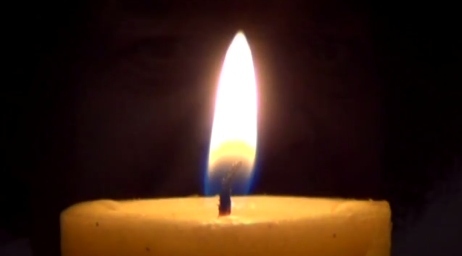 Look on the flame steadily and closing your eyes, try to feel it inside you, between your eyebrows. From there, let it descend down into the lotus of your heart, illumining the path. When it enters the heart, in the centre of the chest, imagine that the petals of the lotus bud open out, one by one, bathing every thought, feeling, emotion and impulse in the Light and removing darkness. There is no space now for darkness to take refuge; it has to flee before the flame. Imagine that the Light becomes wider, bigger, brighter. It pervades the limbs; they can no more busy themselves in dark, wicked, suspicious activities. They have become, you are conscious of it, instruments of Light, that is to say, of Love. Do this every day, without break; for as long as you enjoy it; do this deeply and systematically; a time will certainly come when you can no more relish dark and evil thoughts, no more yearn for dark and sinister books, no more crave for toxic food and drinks, no more handle ugly demeaning things, no more suffer infliction of infamy or injury, no more formulate evil designs. You are then in the realm of the Divine, of Peace beyond words. Stay on in that thrill, witnessing Light, being Light, everywhere, for all. If you are used to adoring God in any form, visualise that Form in that Light. For, Light is God; God is light. When light meets light, it is all Light. There is no boundary between your light and His Light. They merge, they fulfil. (immanent and transcendent splendour, boundless, benign) is experienced; in that all-embracing Light, the Universal Eternal Absolute is experienced. When the individual meets the Universal it becomes Universal. I and I become we; we and he become only we. Practise this meditation, regularly everyday. At other times, repeat the Name of God (any name that arouses in you the spirit of adoration and devotion), always taking care to be intensely conscious of His Might, Mercy and Munificence. You may download an MP3 file with the (jyothi) Light Meditation (given above) here.